It is clear that Crossfade M-100 is the best headphone developed by V-MODA up to now. The excellent sound quality and elegant design matches perfectly well with almost all the types of music. V-MODA headphones are extremely popular among high profile DJs like Erick Morillio, Avicii and Deadmau5. 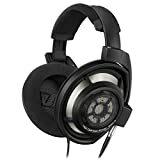 V-MODA Crossfade M-100 can be considered as the latest addition to their lineup of headphones, which is equipped with a portable design along with bass heavy sound. In fact, it is the fourth over the ear headphone to feature in the Crossfade LP lineup. Foldable and compact design provides portability. The ear covers can be customized according to the way you want. Plenty of bass is provided from the headphones. The headphones require more subtlety and refinement. The ear pads can deliver an uncomfortable feeling when you wear them for a long time period. During the early days, the main objective of V-MODA is to product fashion headphones to cater the requirements of people. Later they focused more on improving the sound quality of their products. 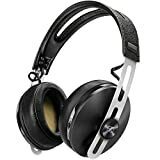 V-MODA Crossfade M-100 is a combination of both fashion and sound quality. It can be purchased in three different colors as white, matte black and grey. You can see the traditional diamond shaped metal ear cup in this headphone as well. It can be customized according to your personal preferences. 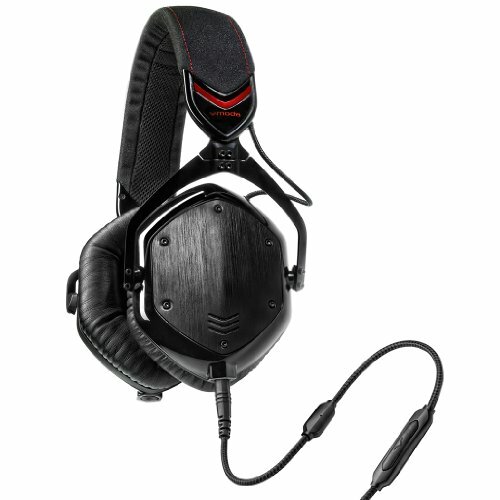 V-MODA Crossfade M-100 has a steel frame and plastic ear cups. The entire product is durable and you can use it for a long time period without much hassle. The leather covered headband enhances the flexibility of entire product. Moreover, you can see a tangle free Kevlar cable in this headphone, which is paired with a 24k gold 3.5mm plug. It comes along with a carrying case, which makes it possible to take the headphones wherever you go. As I mentioned earlier, V-MODA headphones are well known for their powerful bass. The same fact can be applied to V-MODA Crossfade M-100 as well. It has a frequency response between 5 to 30 kHz, which is paired with a 50mm dual diaphragm driver. You can enjoy detailed and clean sound from these headphones. The bass is powerful and you won’t have to experience distortion or rattling at higher volumes. If you purchase this product, you won’t have to look for batteries in order to cut out the commuter crowd noise. It is because these headphones have the ability to provide passive noise isolation to the users. The only downside of V-MODA Crossfade M-100 is that it can leak sound. If you don’t want to let other know what you are listening to, this might not be the best option available out there. When we consider the above mentioned features, it is clear that Crossfade M-100 is the best headphone developed by V-MODA up to now. The excellent sound quality and elegant design matches perfectly well with almost all the types of music. The exceptional durability and build quality are icing on the cake. So, you can think of purchasing a one with a doubt free mind.